Flick Of The Week: From JMack’s iPhone: Cheers. Here's a shot. Cheers to all of you who supported us, helped us get to A3C, listened to the show and showed us love while we were there one way or the other. 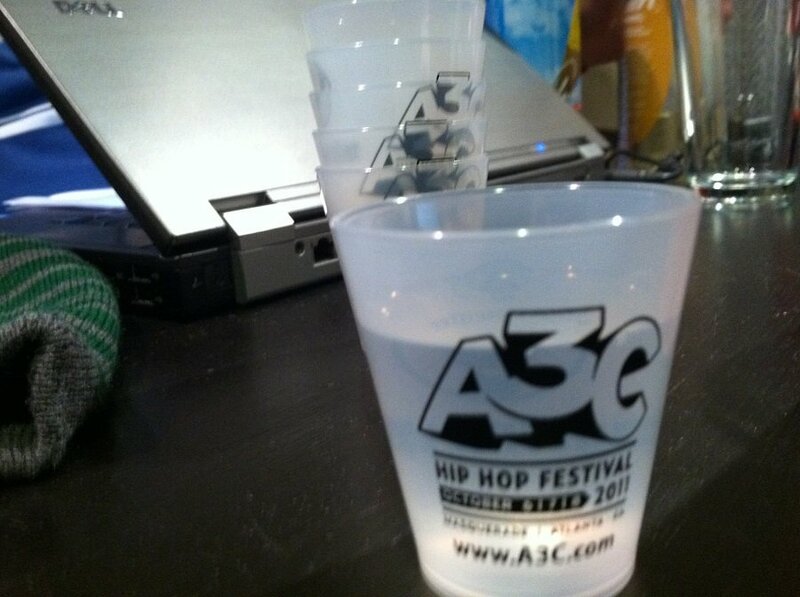 Here's to the entire A3C Staff, a stand up group of folks, all the artists and fans of the HoodHype show we met at the festival, to the incredibly cool KonsoleKingz for sharing their space with us to do our show, and most definitely to all the fans and listeners who support the show and donated to our campaign to get us there! Thank you all and we'll see you at A3C in 2012! Flick Of The Week: From JMack’s iPhone: Day 2. Show day.